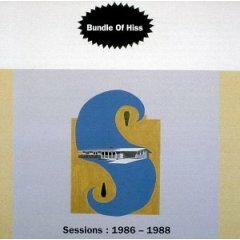 Bundle of Hiss was a band that bassist/lyric-writer Kurt Danielson started with high school friends in 1980 (Kurt, now an ancient codger, graduated in the halcyon nights of '81). 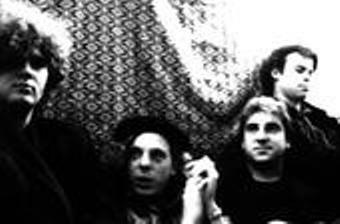 When he moved to Seattle to attend the University of Washington, Kurt, quasi-original singer Russ Bartlett, and drummer Dan Peters met Jamie Lane, who joined on guitar (after original guitarist Jeff Hopper left the group, just as the actual original singer Kurt Schonberg had earlier left. This incarnation recorded some early demos with Jack Endino. Shortly thereafter, Russ left to pursue his own career; Jamie continued on guitar and took over the vacant lead vocalist post, making the band a trio. After recording many demos with Ric Vaughn at Audio Designs in Seattle, the band splintered. Jack Endino applied his invaluable ingenuity and hard work to the salvage job of the old master tapes, which Loveless Records released around the turn of the last century as the CD entitled "Sessions: 1986-88".